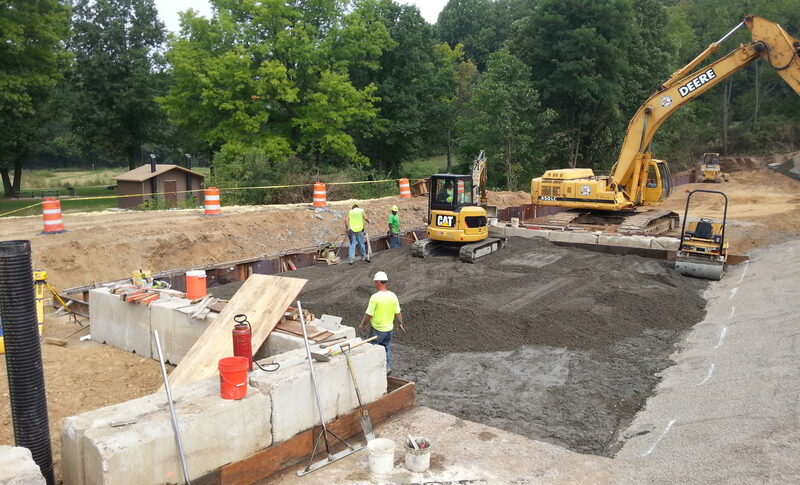 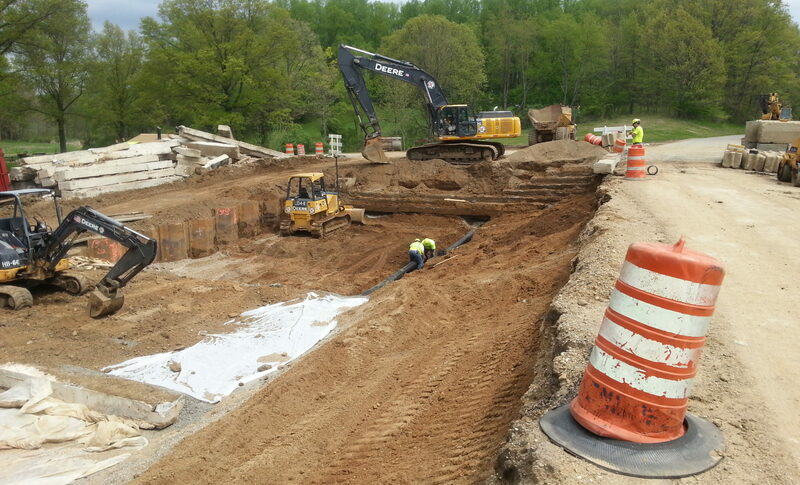 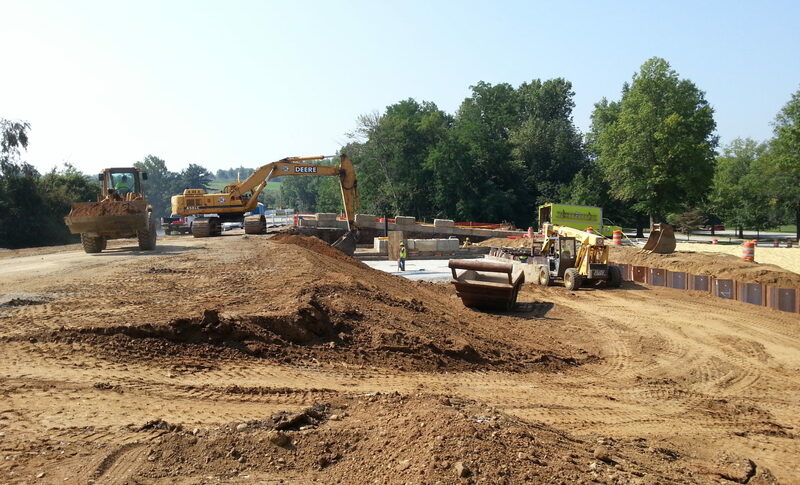 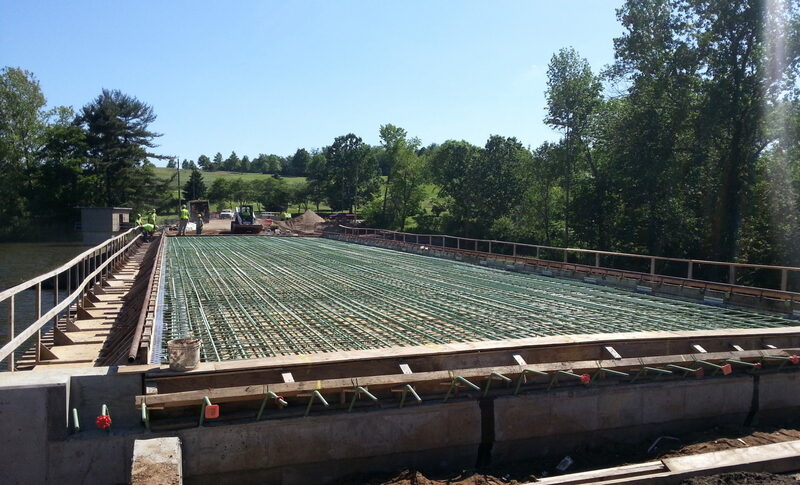 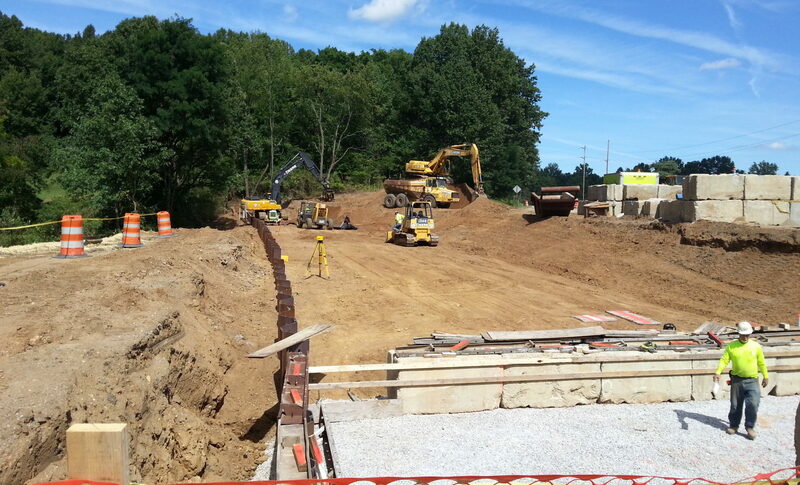 The Tuscarawas River Diversion Dam Improvements was a project for the Ohio Department of Natural Resources that called for the stabilization and strengthening of the existing dam as it is a class 1 high hazard potential structure with the lake having a normal pool surface area of 83 acres. 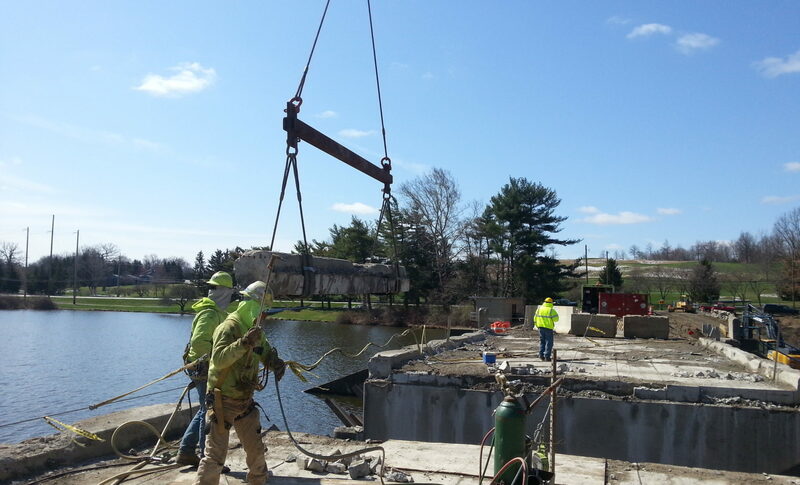 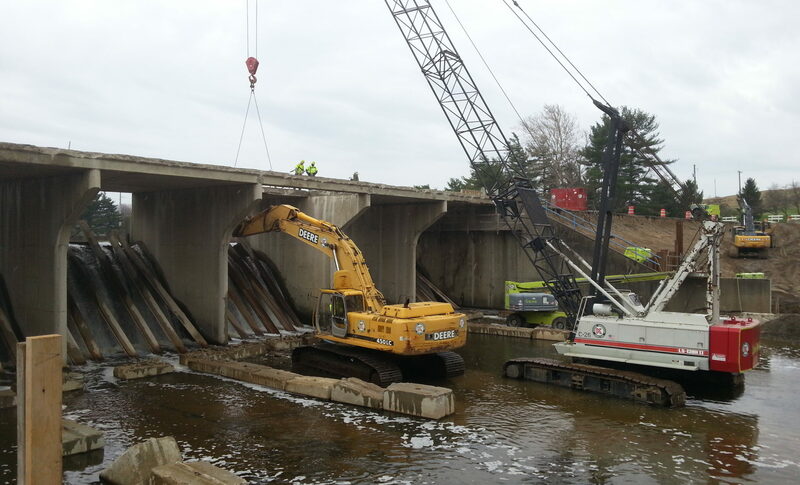 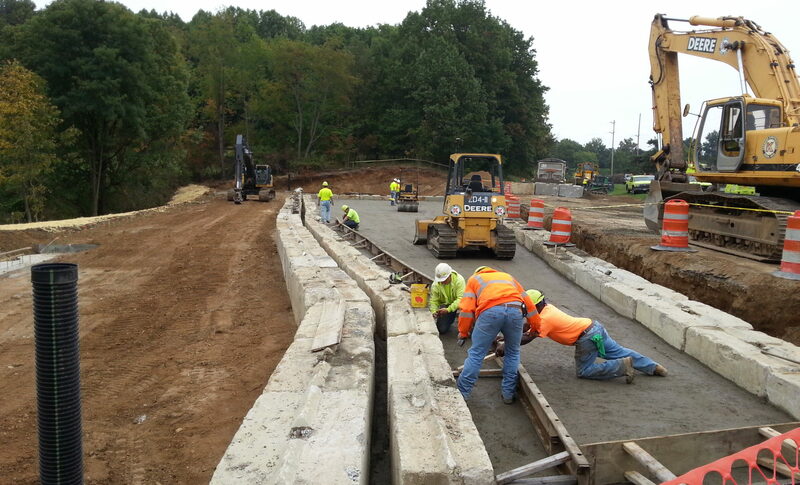 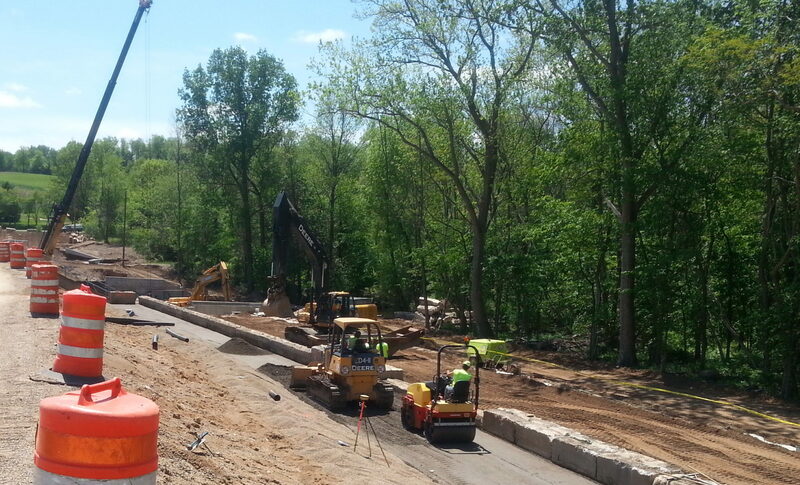 The project included the installation of 12,500 CY of roller compacted concrete to stabilize the existing dam structure and 10,000 SF of sheet piling cut-off wall in order to strengthen the existing dam structure and reduce water seepage. 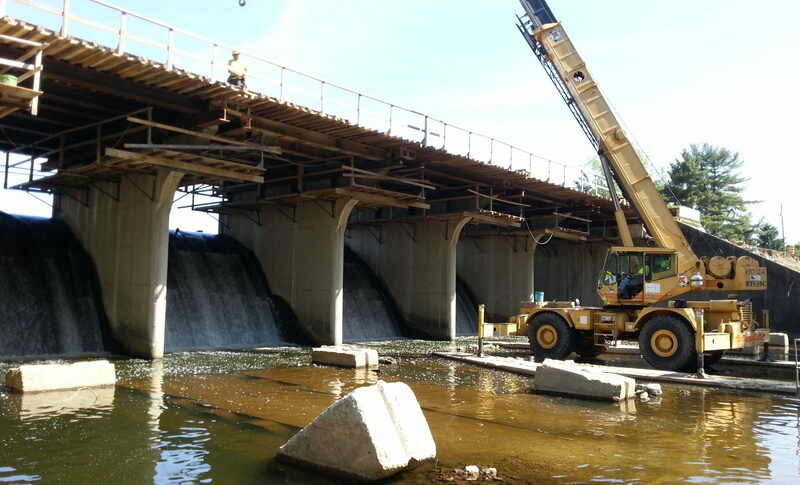 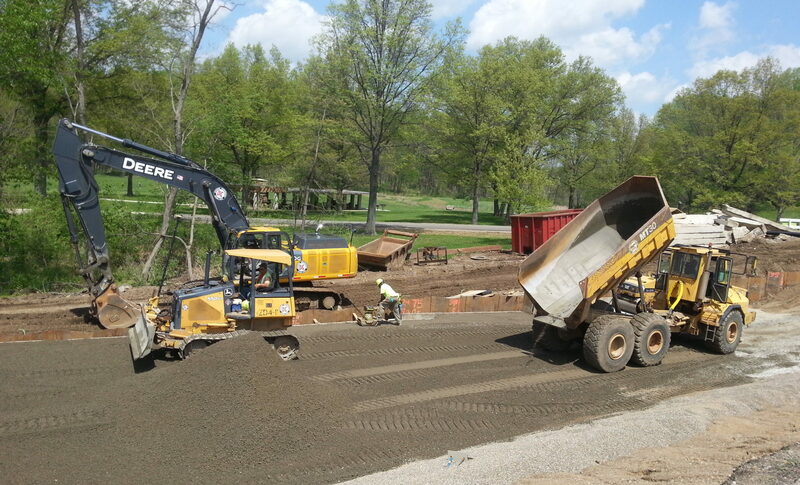 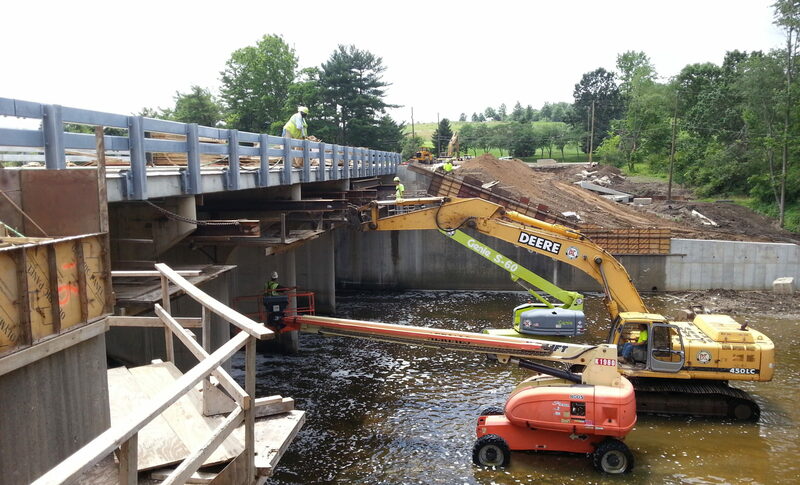 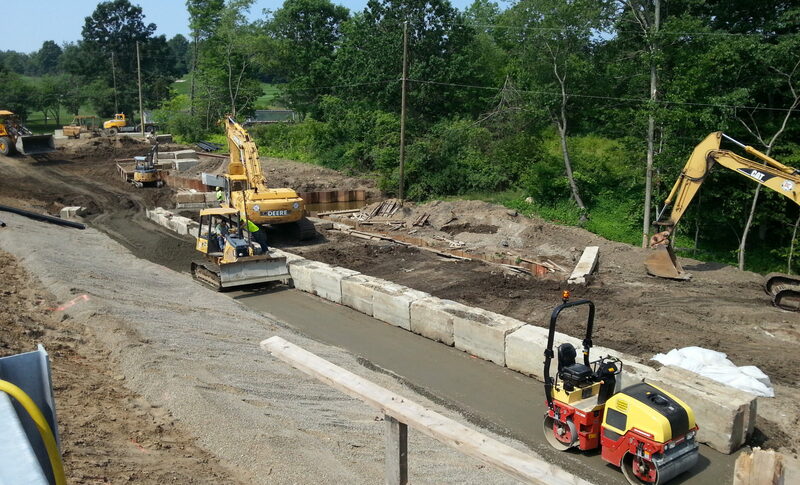 Other work at this site included new retaining walls for the feeder canal drain outlet, repairing the concrete spillway, renovations to the spillway gatehouses, and the construction of cofferdams to divert water during construction. 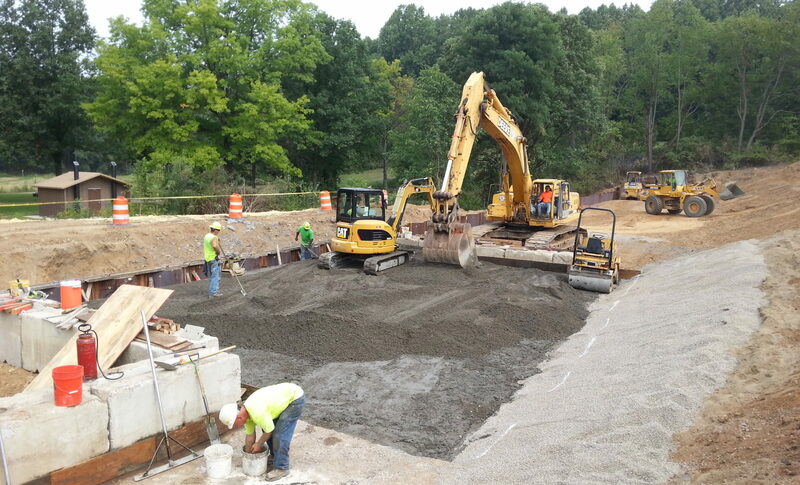 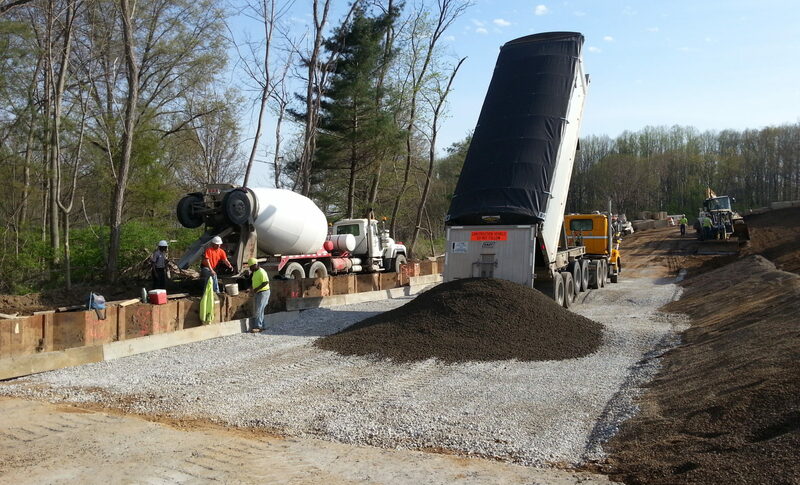 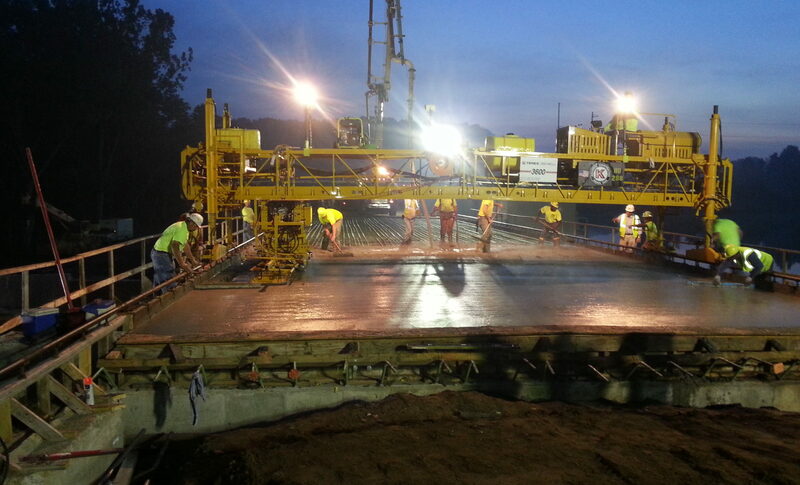 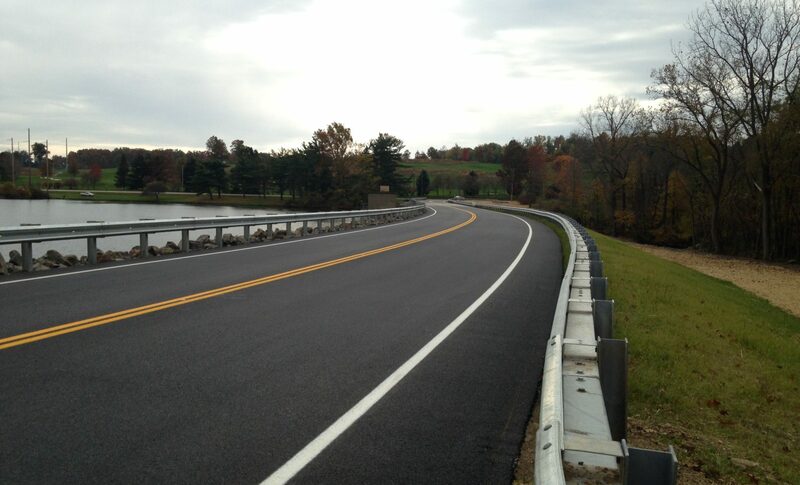 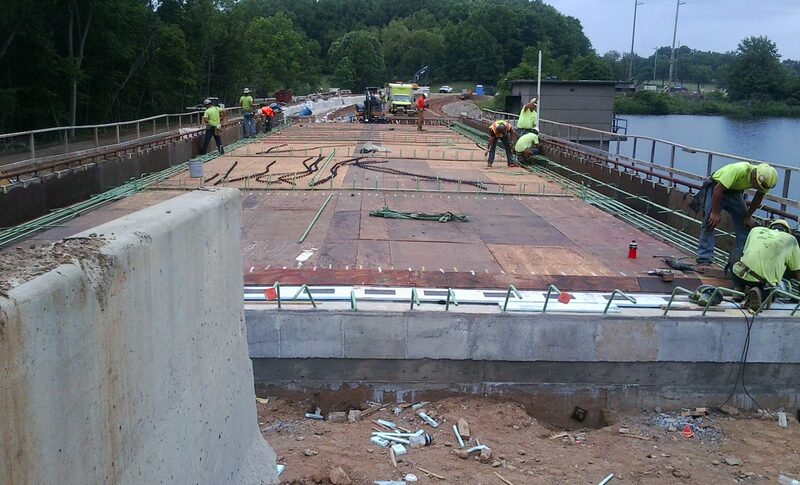 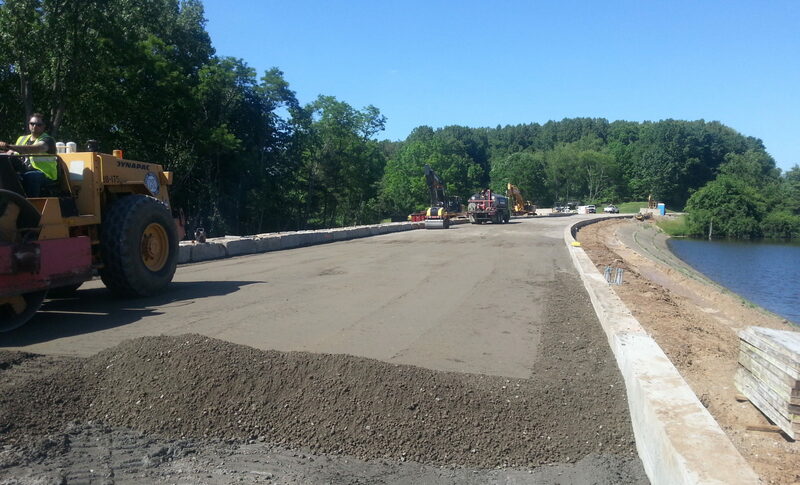 Also included in this project was the construction of a five span reinforced concrete slab bridge and full depth asphalt pavement for the Summit County Engineers. 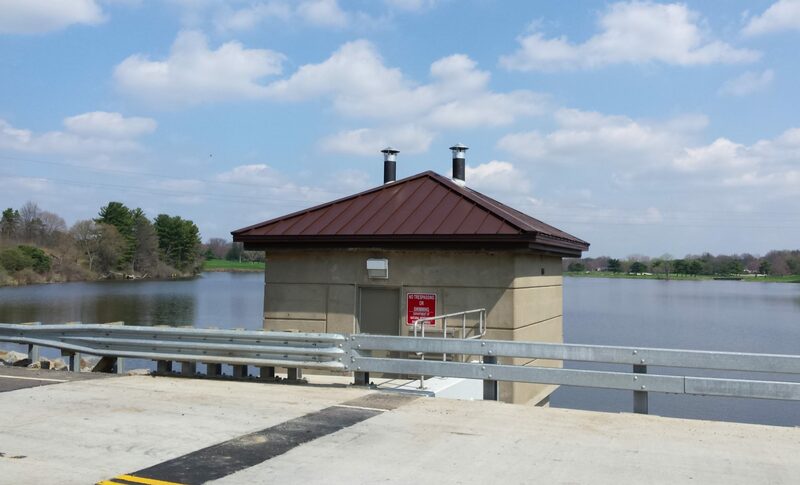 The project was completed on time and within budget while coordinating with the Firestone Country Club and other adjacent businesses with no complaints.